Saturday 68 small hockey players mostly from Brookline will be headed to BU’s Walter Brown Arena to learn from the best: the Boston Bruins. It is part of a new collaboration between the Brookline Youth Hockey and Boston Bruins Academy Learn to Play program. The idea? Keep ice hockey alive and kicking in Brookline, and it seems to be working. Coach Richie Sheridan said he expects to have a packed starter youth league this year, thanks in part to this new clinic for youngsters who are considering hockey without the massive starter costs the sport can rack up. “This is all about accessibility…Once you have invested in the equipment there’s nothing to stop you from going up to that next level. That’s the beauty of this program it’s truly a trial,” said Sheridan. Sheridan said he expected some 90 percent of the kids trying out the sport would head into the youth hockey program by the end of it. “The program has been a huge hit so far, both a tremendous opportunity for families to ‘try’ hockey,” Sheridan told Patch Friday. Sheridan got his hockey chops learning from Brookline hockey legends Eddie and Jack Kirrane and went on to play hockey in college at West Point and now has come back to impart the team mentality and comradeship and fun to the young boys and girls of Brookline, he said. Last year Sheridan saw that the Bruins had started a learn to play pilot program and he thought it would be perfect for kids in Brookline. He reached out to the Bruins and had them add his league to the list. He is passionate about the sport, and the shared experiences it brings with it. But he faced the barrier of getting families to test drive it on their children when the equipment can run around $400. CCM Hockey, an equipment company, and the Bruins subsidize the cost of the expensive hockey equipment parents might not be excited to spring for if their children are not 100 percent sure they want to participate. And that means for $100 those players who sign up for four practices receive full equipment from helmet to skates to Bruins shirt and bag and everything in between. And this year, visits and tutoring from members of the Boston Bruins, themselves. The league has held two practices so far and Saturday, former Bruins goalie and one time rookie of the year Andrew Raycroft is slated to be on ice with the young Bruins hopefuls. What does a practice with a bunch of 4, 5, and 6 year olds look like? Think games. It is meant to be a fun time, said coach. The kids play freeze tag, sharks and minnows, while learning the skills, he said. The clinic’s coaches are made up of the league’s volunteer travel coaches, parents of players, as well as players coaching from both the boys and girls high school teams. Sheridan said 19 of the 68 players are girls, including his own 6-year-old daughter. “Our goal will be to take these participants right into out Learn to Play program at Kirrane Rink at Larz Anderson for Brookline Youth Hockey League’s Ice Mice program,” he said. Brookline Youth Hockey has been around since the mid 1960’s and was formed by Jack Kirrane ( of the Larz Anderson Rink fame) and his brother Ed Kirrane. 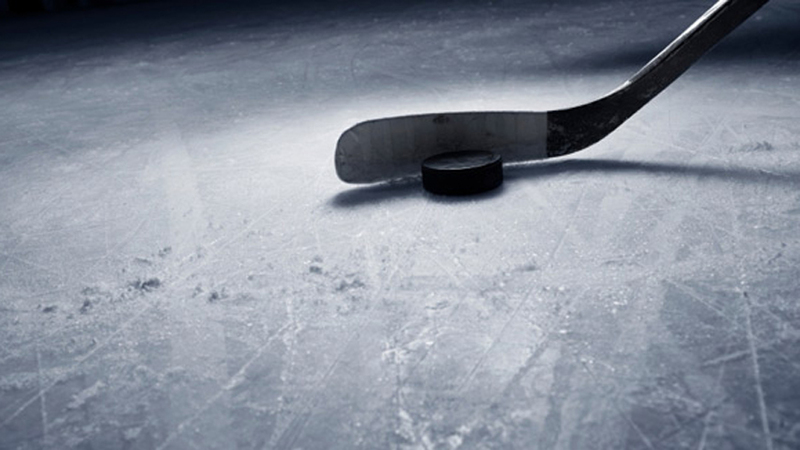 The Ice Mice program is intended for players ages 4 – 9, however, consideration will be given for older children interested in learning how to play the game. The league starts up officially near the last week of November and the first week of December.